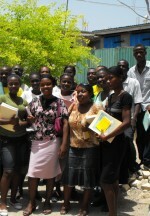 During the Mission trip to Haiti God burdened us with the great need to train teachers in the Kids' EE program. 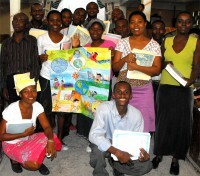 God will use them to introduce Kids' EE into hundreds of schools around Haiti. 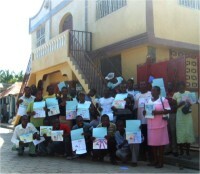 God has an enormous plan for the children of Haiti and we are indeed privileged to be in the middle of that plan. 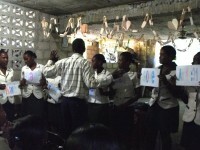 As we continue to train hundreds of teachers God is opening more and more doors into the schools and churches of Haiti. 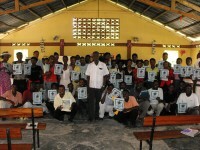 Thanks God for the printing press at Les Canes were hundreds of manuals and work books have been printed in preparation for this Summer Drive. 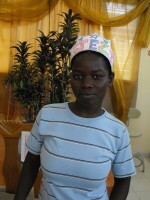 Seen here a teacher at the Bethesda Summer Camp. Seen here the teachers at the Evangelical Baptist church in the Tibouron Summer Camp. 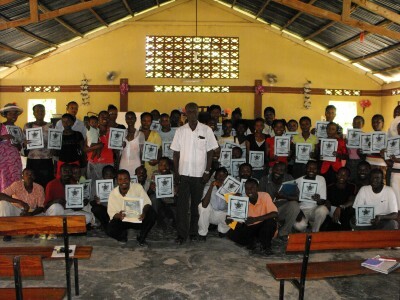 At the Church of God many Pastors and teachers were trained during the week long seminar, seen here with their certificates. 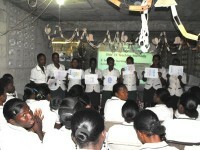 Funding is now needed to enable these teachers to activate the program in their organizations. 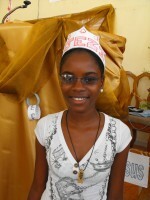 God is establishing a Haiti team of people with a burning desire to reach the children for Jesus. 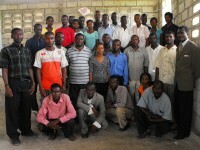 Seen here Pastor Banes with the Les Cayes team at the host church in Goniave and above Pastor Maula from YWAM. Pastor Williams and his wife were wonderful hosts may God bless them. 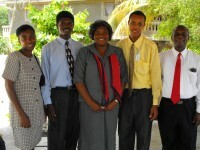 Seen here the Maranatha team, sponsored by Power in the Blood church in Barbados. At the Yolanda Thurvil Foundation 26 teachers went through the training they represented Pastors, Sunday School teachers, School teachers and Orphanage Proprietors from 5 different churches, 6 schools and 2 orphanages. 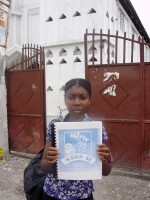 All given manuals, workbooks, Farley cards and Kids Passports sponsored by friends in Barbados. 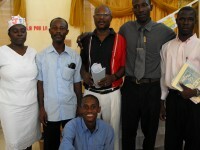 Pastor Nicholas from the United Children' Mission and the team from Bon Repos.